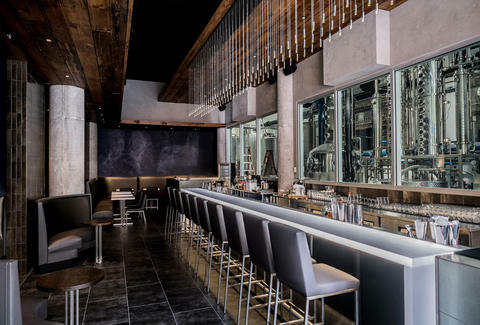 Chicago’s first distillery/cocktail bar combo will undoubtedly attract legions of followers who are into purity. Not Jonas Brothers-style purity -- we’re talking purity of spirits. No, not like, Kirk Cameron's Left Behind purity of spirits. Let’s start over. 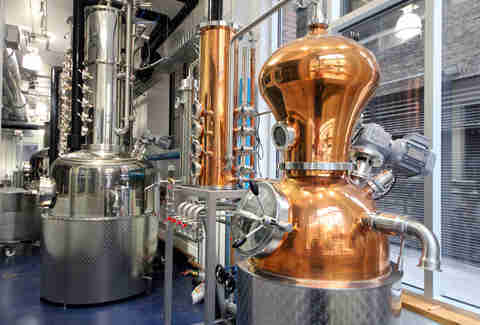 If you like the idea of a bar where you can order craft vodka, distilled 40 times over, by the carafe, then you’ll like CH Distillery. 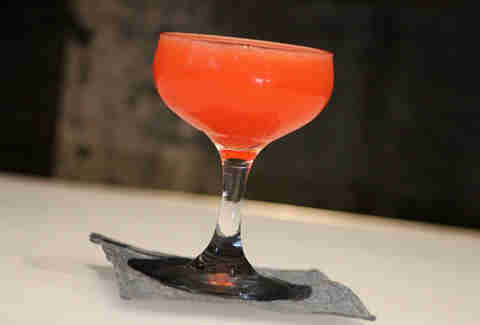 Another vodka-based cocktail is the Rhymes with Orange (Serrano chili vodka, lime, orange Curaçao, watermelon), which is a challenge, because nothing rhymes with orange, right? What say you, Eminem? 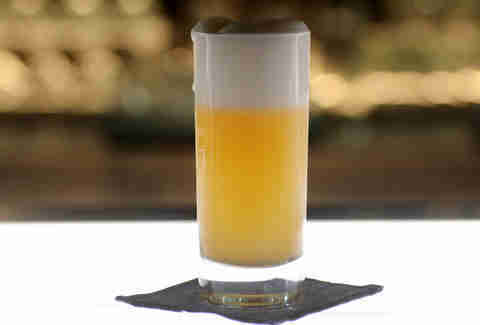 A shoutout to the Earl Grey himself, the Baron Takes Tea contains Earl Grey-infused gin, lemon, simple syrup, egg white, and soda. Grey would obviously need some caffeine and booze to ease the grind of to climbing the ranks from baron to viscount to earl, amirite? 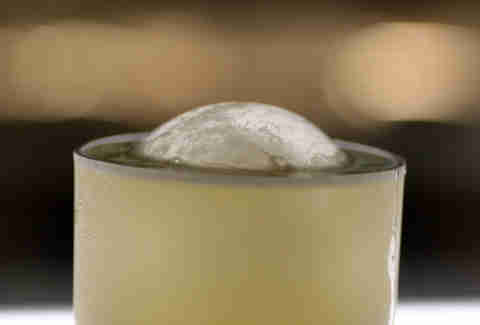 CH’s spin on a Penicillin, the Oxycontin, has gin infused with a smoky lapsang suchong tea, ginger syrup, honey, and lemon, and is served with an ice sphere. 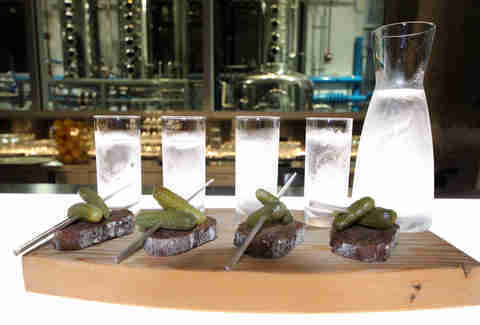 The distillery doesn’t plan to produce a Malort in the near future, possibly for fear of tainting the tanks with the taste of old Band-Aids. 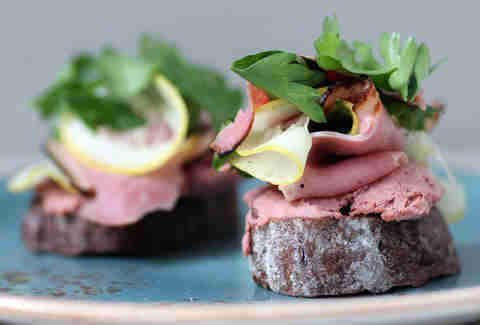 The CH is also turning out small bites with plenty of Northeastern European favorites, like corned duck on black rye bread with liverwurst and lemon. 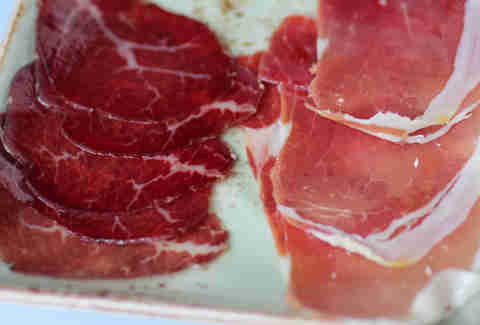 West Loop Salumi ably supplies the charcuterie, including bresaola (beef massaged with fresh thyme, rosemary, juniper, and red wine) and finnochionna (salami with fresh fennel pollen). The chef has procured Bare Hand honey straight from the comb, which pairs nicely with a spread of cheeses from Pastoral, as long as you’re not having flashbacks of Nic Cage in The Wicker Man. 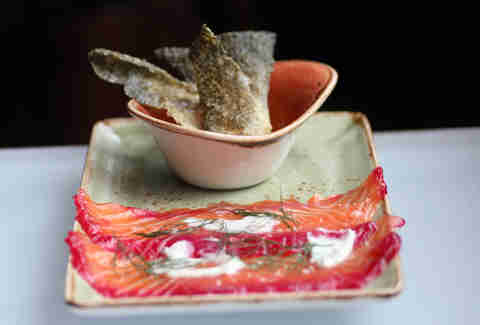 Letting their alcohol spill over into the kitchen (not literally), the gravlax is gin-cured and comes with puffed salmon skin and yogurt vinaigrette. 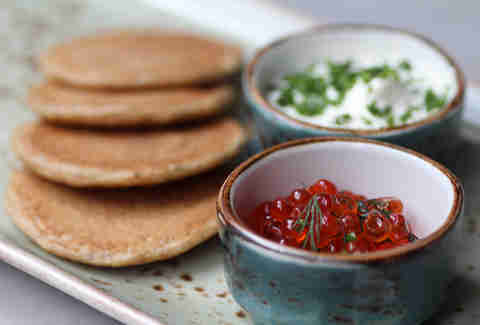 Rounding out the small plates that'll, in turn, round you out, this red caviar is served with pumpernickel blinis, sour cream, and a lemon vinaigrette with dill.